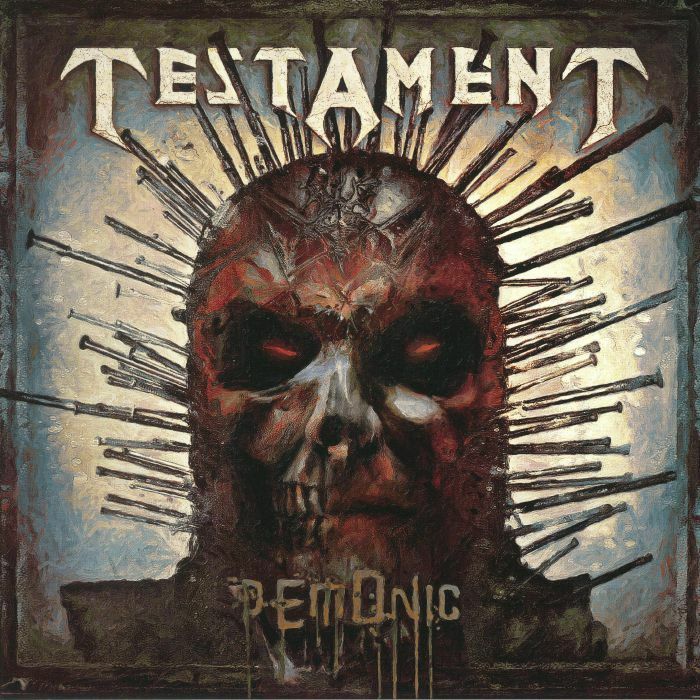 With Testament what do you expect? What do you get? If you are looking for the answer then you need serious help. 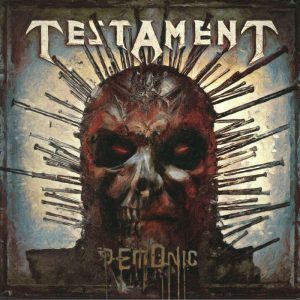 Testament have always delivered, some records have been stronger than others, but they’ve never really filed. This round up of five re-releases could be summed up much the same way to be honest, depending on how you approach the band. Demonic, originally released in 1997, was a bold step for the Bay Area (at this point) quartet. It paid off, and most noticeably saw a new vocal style from Chuck Billy. The music adopted a weighty approach – chunkier than usual, possibly bought on by the decline of popularity for thrash metal and the steady surge of interest in death metal. It worked well and its decisively brutal output has stood the test of time sounding as bone crushingly heavy as it did when first released. Featuring Gene Hoglan on drums strengthened the already pounding rhythms and Demonic Refusal and The Burning Times laid the foundations for the eleven slabs of quality metal on offer. Served on succulent silver wax, and dressed in a gatefold sleeve, even if you have the original this is worth the repurchase. The Gathering first saw the light of day in 1999, and created a lot of interest as it showcased drum demon Dave Lombardo behind the kit, and guitar virtuoso James Murphy. 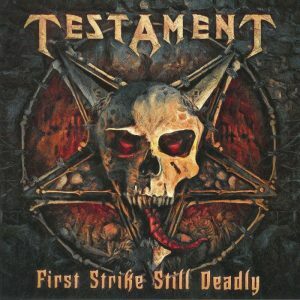 Testament were firing on five thrash metal cylinders, and the contemporary production work of Andy Sneap increased the records magnitude. The likes of D.N.R. and Sewn Shut Eyes epitomise the prowess of Testament’s thrash metal credentials. There are a couple of slower moments,, but this is probably the closest the band had come to matching the debut brilliance of The Legacy. Fast, furious, it was almost a return to their roots. With the artwork here not just being re-tweaked, but largely altered (without losing any of the originality or feel) it will surely raise an eyebrow or two among completists and collectors. The inclusion of bonus track Hammer Of The Gods adds a little more value if you’re looking for an excuse to repurchase the record. Once again served up on silver vinyl, and a gatefold sleeve, this is a must have re-release. 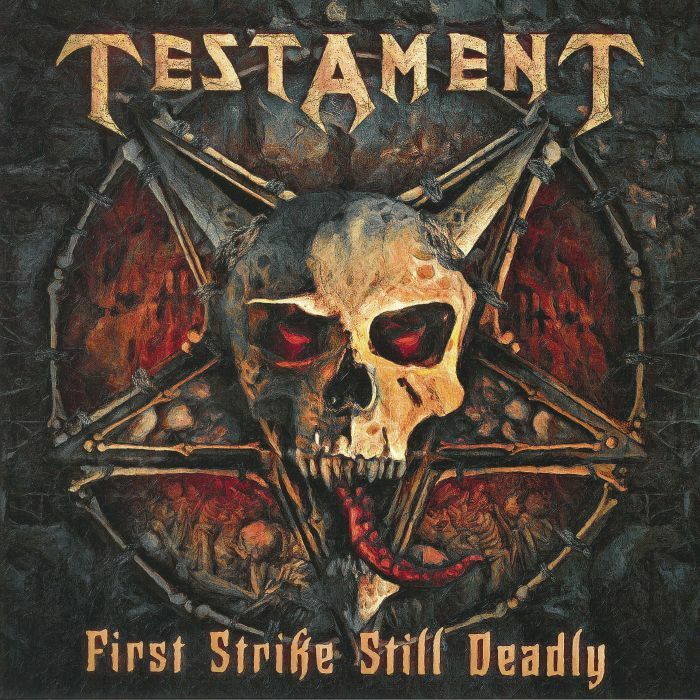 First Strike Still Deadly (2001) can only be described as a collection of tracks that are simply modern day interpretations of classic thrash songs. Taken from the ground-breaking debut The Legacy and the equally as inspiring follow up The New Order the decision to re-record, and include past and present members was, and is, one of the best career decisions Testament ever made. This is one record you’ll play from start to finish as the nine tracks included are timeless benchmarks and their power has only been amplified, without losing any of the old school rawness, by its modern day sound. And the inclusion of a bonus 7” single is a novel way of offering the last two songs from the original CD without having to follow the conventional route and release it as a double album. Reign Of Terror closes proceedings superbly, confirming Testament’s position at the pinnace of heavy metal. If I were to mention it was pressed on silver vinyl, and had a gatefold sleeve, not forgetting the bonus silver vinyl 7”, how many people would find it very hard not to add this release to the shopping basket? Live t Eindhoven came out originally in 2009 as a full length album, although it was from a 1987 concert… the band were raw, and on fire. It’s got a great sound quality and includes the original five tracks from the E.P. of the same name released back in 1987. This classic set is a blast of nostalgia from a time when the Bay Area was a real hot bed for music and releases and captures a well put together set, including the obligatory 80s guitar solo mid-flow. My only complaints are that I wish the set had been longer, and why is it only released on boring black vinyl?